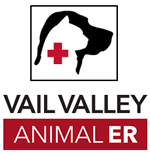 The Vail Valley Animal ER is located at our Edwards, CO location (next to the Larkburger). "Our vision is to exceed the expectations of our patients and become the premier veterinary emergent care provider in our community." Vail Valley Animal ER provides Quality Veterinary Emergency and Critical Care when you need it. Established in 2008 as the sole veterinary emergency clinic in Eagle and Summit Counties. Our emergency practice is the only one of its kind offering 24 hour doctor care and a highly trained support staff on weekends and holidays in a state of the art facility with the most innovative diagnostics available. 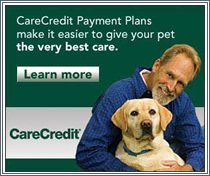 This means your pet will receive world-class veterinary emergency care with out ever having to leave the valley. We work closely with your regular veterinarian and a group of veterinary specialist, to include cardiology, radiology, orthopedics, and internal medicine, to provide the best care possible when its needed. Providing unsurpassed after-hours veterinary care is our continued commitment to our patients, clients, and referral community. Our emergency veterinary hospital is equipped with latest diagnostics allowing our veterinarians immediate access to test results. Swollen, painful joints or a gait that appears as if walking on "eggshells"
Fully equipped in house laboratory equipment (hematologic chemistry, CBC, Electrolytes, Coagulation analyzer, Blood gases, Thyroid, Cortisol, and Pancreatic CPL). Dr. Meynier and all of the Vail Valley Animal ER staff know that when your pet has an emergency it can be a very stressful experience. Vail Valley Animal ER offers 24 hour emergency care with a doctor on the premises during the hours of 6pm Friday to 8am Monday and all major holidays at our Edward's location next to Larkburger. 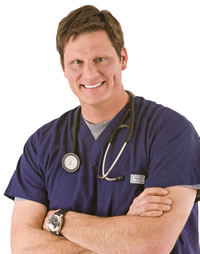 Vail Valley Animal Hospital offers 24 hour emergency services by on call veterinarians after standard operating hours of 5 pm on Monday to 8 am on Friday every week, which is provided by Dr. Charlie Meynier and staff at our Edwards location next to Larkburger. For additional information on ER services and hours review the information posted on the right column of this page. All Vail Valley pet emergencies will be held treated at our Edwards, CO clinic. We have expanded this location to include the most progressive and cutting edge technologies in animal emergency and critical care medicine for your pet. 24 hour emergency pet services during the week provided by Dr. Charlie Meynier of Vail Valley Animal Hospital at our Edwards location next to Larkburger. Payments are due in full at the time of services. Acceptable forms of payment include: Visa, MasterCard, American Express, Discover, Care Credit, and Cash. Care Credit is a secured six month payment plan with no interest or initiation fees that can be applied for and used in the office with in minutes for those who qualify. We apologize for any inconvenience, but checks are not accepted and payments are due in full at the time of service. 8am to 5pm Monday thru Friday at both locations. Monday thru Thursday anytime after 5pm (standard business hours) at our Edwards, CO location. Please call 970.926.3496 to notify the Vet on-call. When arranged our veterinarian monitors your pet 24 hours a day on premises. The Emergency Clinic hours are Friday 6pm to Monday at 8am Emergency Care on premises at Edwards, CO location. No matter when you arrive during this time period we are staffed and ready to care for your pet.